Today I am joining in (rather late) with a special blog hop in honour of Paper Crafts and Scrapbooking Magazine. Sadly, after many many wonderful issues, the magazine is closing its doors. And I am very sad. This is the magazine that first published one of my cards way back when…gosh, those happy emails when one of cards was accepted. The thought of them still brings a smile to my face. Paper Crafts magazine - thank you! For everything. For inspiring me, encouraging me, pushing me in new directions… I will miss you enormously. And I will treasure your magazines forever. So, if you arrived from Yainea Nuñez's blog, welcome. If you want to start at the beginning of the hop, head to Jennifer McGuire's blog HERE. So I have a card to share that I'd like to dedicate to the awesome Paper Crafts team. It features Simon Says Stamp's new Calliope Flourish die. It's so sweet!!! I just love it. I cut it from some rustic brown card, and again from silver glitter card, then paper pieced it together, adding gemstones to the flower centres. 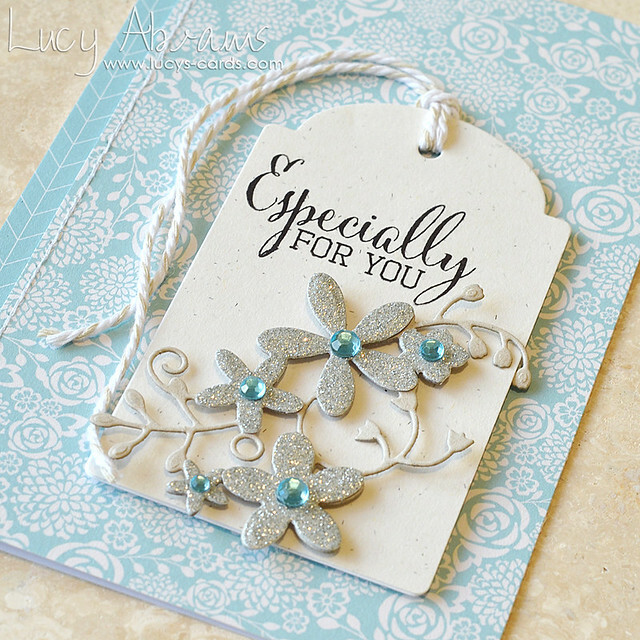 I adhered my flower to a tag created with Simon's new Large Tags dies (OH I LOVE THIS SET SO MUCH!! ), and added a sentiment from Clearly Besotted's Fabulous Fuchsias set. The patterned papers are from Pebbles' beautiful Homemade pad. Special thanks to the awesome Taheera for organising this amazing hop. Her words HERE express beautifully my feelings about Paper Crafts Magazine. And I'd like to thank her even more for adding me in after the hop had started. I didn't know about the hop but really really wanted to be a part of it. Clever of you to paper piece that die which, incidentally, looks FABULOUS! Loved seeing your sneak of it on Instagram and the real thing doesn't disappoint. Lovely. Absolutely gorgeous! Love the paper piecing and gem stones! So glad that you got in the hop the last muinute...because PC & S oviously played a big part in our card-making life! 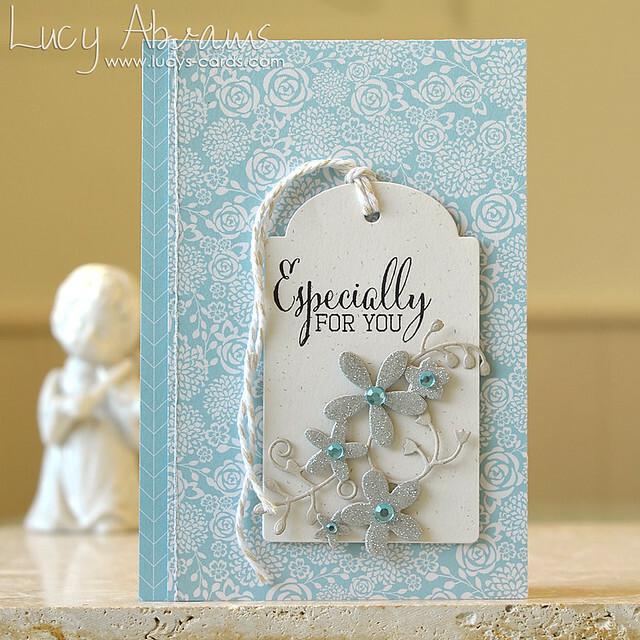 Love your gorgeous card with THAT tag!! Beautiful job, Lucy! HUGS! WOW!!! Your card is stunning, Lusy!!! And thanks for sharing your story about your first publication. A very lovely card. There are so many talented people on this hop. Thanks for sharing. I LOVE THIS CARD WITH THE DIE CUT FLOWERS AND USING THE JEWELS IN THE MIDDLE OF THEM. The SILVER ONthe flowers add the sparkling touch. Great card! Everything you create is beautiful!